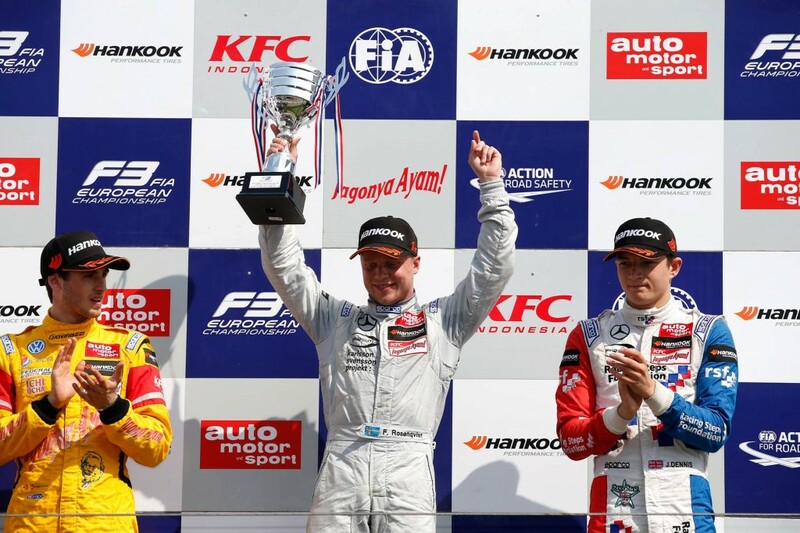 Felix Rosenqvist made significant inroads in the fight for the FIA Formula 3 European Championship title as he claimed an important victory and completed a podium clean-sweep at Zandvoort this weekend. Rosenqvist – returning to the Dutch circuit on which he won the 2011 and 2013 Masters of Formula 3 events – controlled proceedings from pole position to win the second of the weekend’s three races, and backed up his sixth triumph of the season with second and third place respectively in races one and three. Underlining his pace at the winding seaside venue, Rosenqvist set the fastest lap in Race 2, headed Friday’s free practice session and featured among the top three in each and every outing over the course of the weekend. A total of 34 drivers contested the Dutch event. The outcome means Rosenqvist has now considerably sliced a pre-weekend 66.5-point deficit in the championship standings, with the Swede leaving Zandvoort sitting just 27 points adrift of new overall spearhead Antonio Giovinazzi (Italy). Previous leader Charles Leclerc, Monaco, is now second, just 19.5 points ahead of third-placed Rosenqvist. An FIA Formula 3 European Championship race win is awarded with 25 points. The fight for the FIA F3 European Championship title continues at Austria’s Red Bull Ring on July 31-August 2.